Edward Segal Inc. offers Technical Support on all Edward Segal Products via telephone and email. 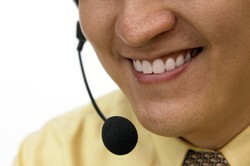 Our trained support staff offers call-back service and courteous assistance as you need it. Regular support hours are Monday through Friday, 8:30am to 5:00pm Eastern Standard Time. Call back times vary depending on current support load and staff on hand. If you wish to contact us by email, need support documents or wish to order replacement parts click one of the listed listed below.